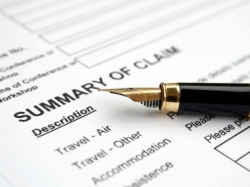 The entire insurance industry is paper intensive and all documentation is critical. Prompt access to customer correspondence, medical records, solicited letters, enrollment forms, new policy applications, pre-authorizations, payments, claims and other printed materials are necessary for managing the business and providing excellent customer service. Scanning converts this paper-based information into digital imaging streams quickly and accurately, which makes the content more manageable and accessible. SoftFile provides a centralized access point for your important insurance documents. Whether you operate an agency or belong to an insurance carrier, our enterprise content management solutions can be configured to perfectly fit your organization and its requirements. From property and automobile insurance to group, life, and health insurance, the types of insurance policies you underwrite generate a considerable amount of paperwork. Technology improvements have provided for faster creation of quotes, applications, and contracts, but the challenge of maintaining a document storage area can quickly become overwhelming. Along with compliance and standards, the ability to quickly reference these documents strengthens your reputation for customer service. SoftFile reviews and categorizes thousands of insurance documents daily for various financial institutions to ensure that loans are backed by adequate insurance coverage.